View images of Cedar Crest Lodge on our Photo Gallery Page. Copyright of all images belongs to Jumping Rocks and/or Cedar Crest Lodge. If you would like to use any of the images in a digital format or print you need to have permission and we can provide you with a link to another dynamic online gallery. 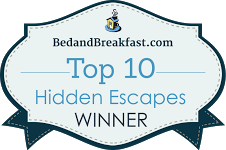 To assist you in your press and media coverage of our Kansas Bed and Breakfast, please contact us at innkeeper@cedarcrestlodge.com. 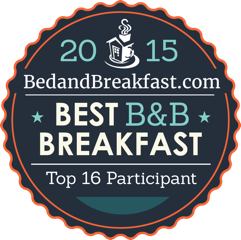 Top 10 Romantic Inns in the U.S.
"A true focus on the details of superb customer service make this inn a top choice; just ask the gentleman that dropped off a special place setting so his first-anniversary breakfast could be unforgettable." 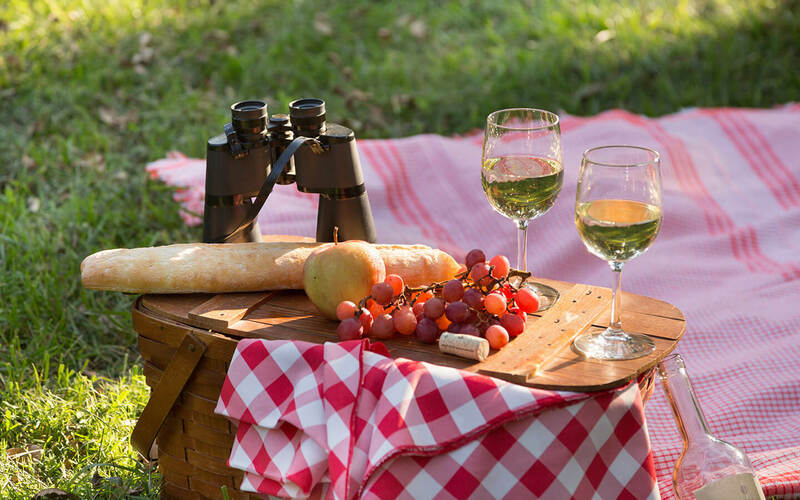 "Connect with nature on serene walking trails that wind among ponds and trees, take a dip in the tranquil outdoor pool, or explore the bountiful gardens on the property." 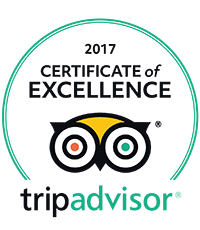 We are proud to be recipients of the TripAdvisor Hall of Fame Award after earning a Certificate of Excellence for the last 5 years straight! "There’s just so much to do at this sprawling resort: gardens, walking trails, fish ponds, a bocce court, a horseshoe pit, even a full-service spa. It’s a splendid spot for taking in the Kansas countryside’s most spectacular scenery." "I can't say enough good things about Cedar Crest Lodge. The accommodations, food, massages and everything in between were absolutely exceptional. I've never eaten so many 5 star meals in one weekend. 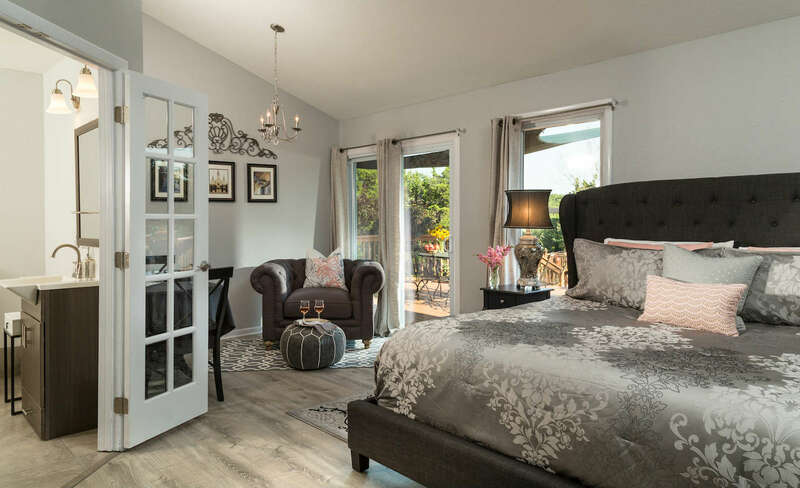 I loved that everything we needed or wanted was right there on site." "You will find Cedar Crest Lodge nestled among 111 acres of trees, ponds and beautiful rolling hills, rustic, but elegant offering magnificent views and many venue options for your exchange of vows, and elopement ceremony." "We grow over 40 types of organic vegetables and greens (many of them heirlooms), 30 different varieties of tomatoes, a berry patch, asparagus beds, fruit trees, an herb garden, and edible flowers, and forage for mushrooms on our 111-acre property. We grow this with the rain water that we capture and compost that we make. Any extra produce we have we make available to our guests. We use locally sourced eggs, cheese & pork." 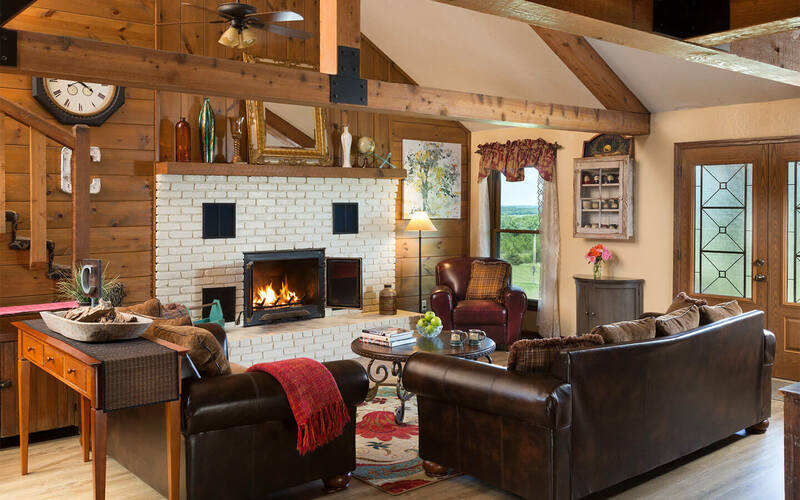 "This 11-room country inn located on 111 acres of beautiful rolling hills near Kansas City, Missouri has recently been recognized as an Official Certified Wildlife Habitat. Those who enjoy the outdoors will love the property’s many gardens, walking trails, fishing ponds, as well as the outdoor pool, bocce court, and horseshoe pit." "Our Citrus-Berry Pizza recipe came about because of our family’s love of pizza (any kind)! The light and fluffy homemade pizza dough topped with a cream-cheese base is wonderful on its own, but the berry topping tastes great and looks beautiful too. We are fortunate to grow an abundant supply of organic fruits and vegetables at our Midwest bed and breakfast, including fresh berries. The addition of blood orange, one of my favorite flavors, adds a surprising depth of flavor to the berry topping, making this recipe a winner for everyone! "The Couple’s Weekend Package at Cedar Crest Lodge comes with all that gushy stuff die-hard romantics crave: chocolate-covered strawberries, champagne, and a three-course dinner delivered straight to your room for an intimate evening in, followed up by a spa and jacuzzi day." 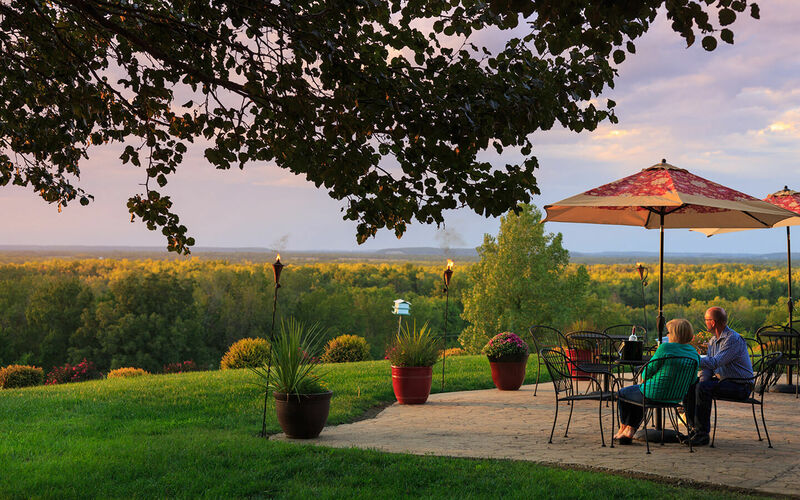 "Nestled on 100-acres of pure natural beauty, Cedar Crest Lodge is a lovely bed and breakfast complete with picturesque amenities that you won't find anywhere else in the state." About 75 miles south of Kansas City is a country inn on 111 acres that the National Wildlife Federation has certified as wildlife habitat. It is especially good for birders. "You will find Cedar Crest Lodge nestled among 111 acres of trees, ponds and beautiful rolling hills, rustic, but elegant offering magnificent views and many venue options for your exchange of vows, and elopement ceremony. Choose an outdoor venue overlooking the expansive north lawn with a horizon view, or an amazing sunset wedding on the west patio, or in the pecan grove nature aged at 100 years." "This is a delicious representation of what we, in Kansas, have to offer. Kansas City is known for its BBQ and smoked meats. My husband, Matt, has developed a special dry rub for his brisket preparation which is hard to beat! Our B&B property includes 111 acres of land on which we grow as many fruits and vegetables organically that we can. We try to incorporate our produce in essentially every meal we serve - including breakfast; so I developed this very fresh, chunky “salsa” which showcases several garden goodies. Add farm fresh eggs to these ingredients and we have one awesome breakfast entree that we are proud to serve to our guests!"